The Acuity F is the most productive printer in the popular Acuity series. It combines 7 years of market leading image quality with leading edge engineering and ink technology to deliver a state-of-the-art platform capable of a wide range of print applications. With a maximum print speed of over 1,600 square feet per hour, the Acuity F was built for production. Dave Leavey of Creative Printing, Inc in Merriam, Kansas shares the reasons why they selected the Acuity F press for their business. The Need for Speed – To achieve the print speeds demanded, The Acuity F has 6 printheads per color channel with over 27,000 nozzles (on 7 channel models). 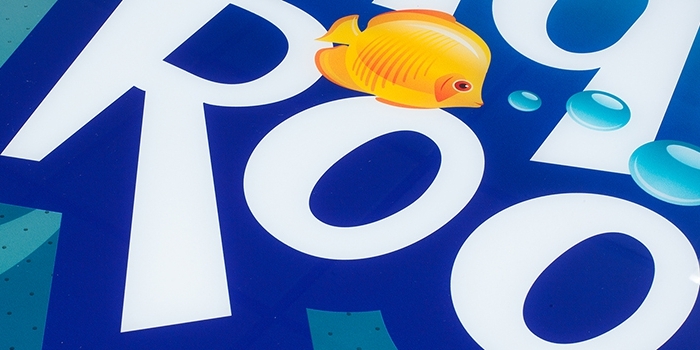 Like other Acuity models, variable drop size printheads delivery quality prints at the necessary speeds. The addition of light inks to the Acuity F allows for finer color graduations at faster speeds. ColorGATE Production Server (Fujifilm edition), Version 8 or later: One RIP solution, offering support for over 750 printers and cutters. Sync color between multiple printers with easy 3-step process. Caldera Grand RIP, Version 9 or later: Support for over 800 printers and cutters. Analyze cost on each job printed. Helps designers make corporate spot colors with new Color Book.